With the wedding season fast approaching, it’s almost time for us all to polish our shoes and dust off our suits, but before we do so, here at Mercedes Club we have invited Sammy Aki, The Groom Style Consultant, to host a menswear workshop this Wednesday evening. Sammy Aki, a dynamic personal designer working with the world-renowned craftsmen on Savile Row to create exceptional outfits for men, has recently brought her consultancy to the USA. Sammy has dressed hundreds of men for the most important moments in their lives; from weddings, award ceremonies and even music videos. We wanted to take a few moments to ask Sammy a few questions before this evenings’s event to find out what’s happening this summer in menswear. Sammy: These days when it comes to dressing, especially if we are talking about weddings, I advise my clients to try to stay clear of "trends". By all means it’s important to be aware of what's ‘going on’ but this is not the time to be a victim to fashion. Personally I have always been interested in trends, as what fascinates me is their cycle and evolution in becoming a style.I’ve been working in menswear almost two decades and the last 5 years have been particularly interesting for me, and the industry as a whole. In this time we have seen the amount of menswear only stores and brands increase rapidly especially within the mid and luxury sector. After university I worked with a global trend-forecasting agency, whilst assisting the Esquire fashion teams so I naturally look and analyse what’s happening within the industry, runway shows and on the street as such. What I then love to do is understand its source and reference in history to then develop this look for a real audience, the modern classic guy, I like to call him. Proportions are changing. The skinny has been banished by designers and editors to make room for the wider legged pant. If you look at the runway images most men wont be adopting this in a hurry, however if we go back to the root and look at the higher waisted tailored pants worn by the men of the 1930’s and today’s youthful tailors on Savile Row you will begin to appreciate its beautiful elegance and drape. Before the turn of the century in 1998, (sorry I couldn’t resist writing that) whilst working at Thomas Pink, Jermyn Street I realised that no men wanted to wear pink so I made it my personal mission to convert the guys and sell pink shirts to the "brave". 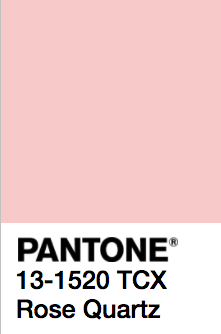 Almost twenty years on this has thankfully changed and I recently read that there is a whole new kind of pink "millennial pink". These tones have been catching my eye for years and most recently in interior design magazines and within branding galore. 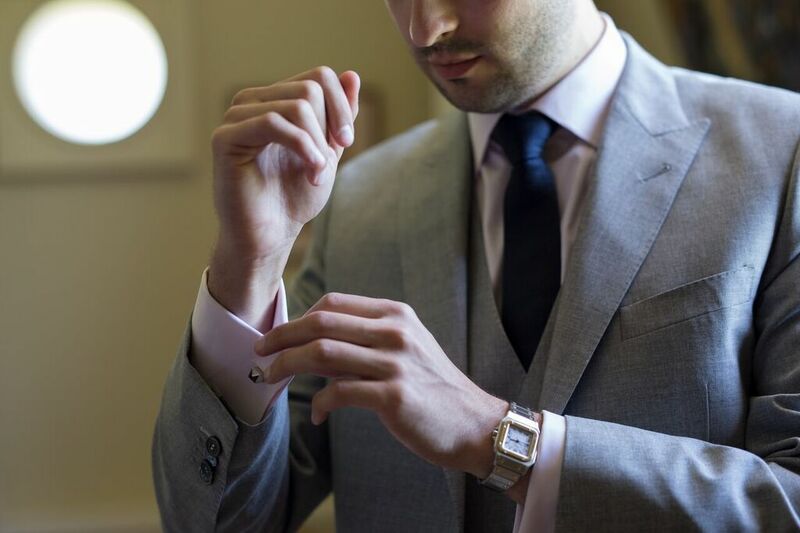 Rose Quartz was the pantone colour of 2016 and a few of our clients opted for this warming hue instead of a classic white shirt, whilst one of my favourite clients was ahead of any pantone trend with his pink wedding suit. 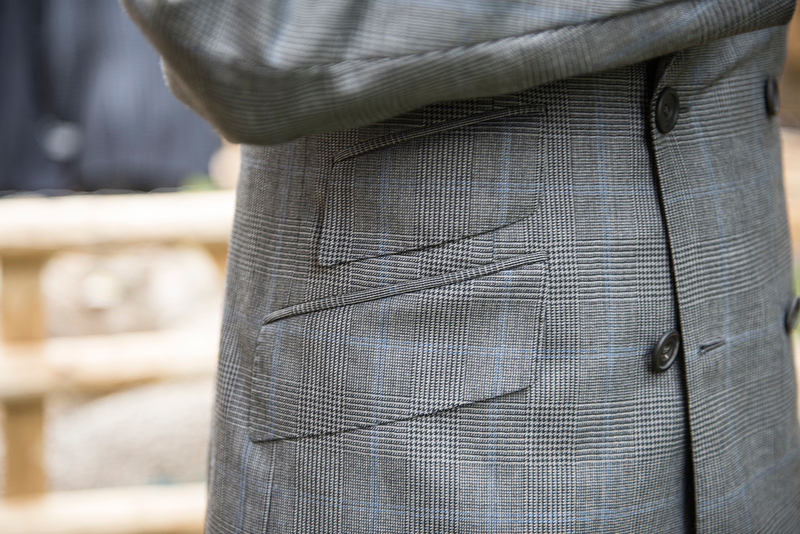 Adding a bit of depth and character to your fabric selection, without being too overbearing can sometimes be difficult for the untrained eye. 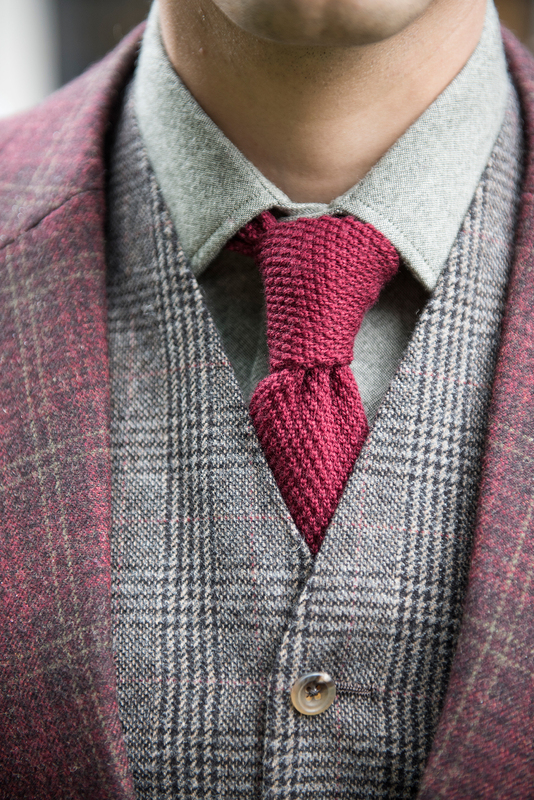 This season the Prince of Wales (Glen Check) and windowpane check were used by the menswear designers in a number of the collections. 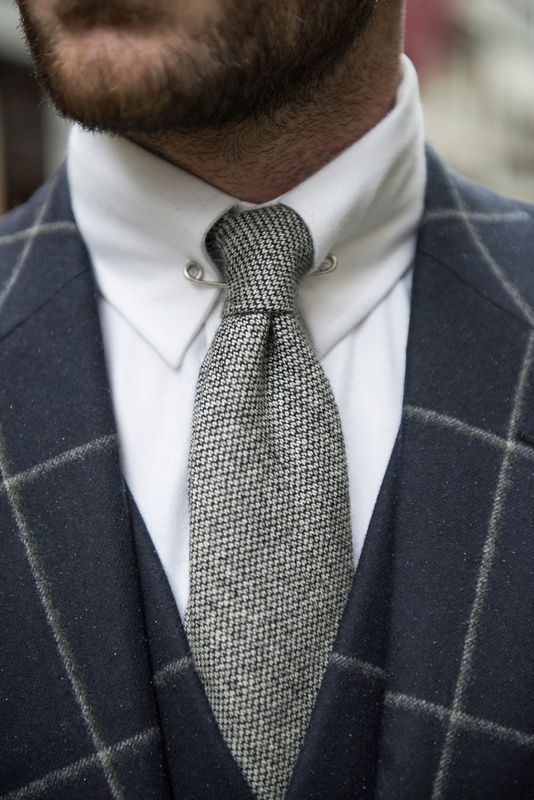 A firm classic in the best fabric bunches on Savile Row we love working with the different mills to find patterns with interesting colourways. To further explore the world of bespoke menswear, with Sammy Aki, please RSVP and get a better understanding of everything from etiquette to the structure, fit and the signature qualities of the best bespoke in the market, whilst still reflecting your personal style. Join us on Wednesday, April 26th from 7 - 8pm for an interactive Q&A + mimosas & small bites. Email Erika@themercedesclub.com to RSVP or Click here.